The American built Sherman medium tank was supplied to the Soviet Red Army in larger numbers than any other American or British tank during the war. A total of 4,252 were sent, (not all arrived thanks to German U-boats) about evenly divided between the version with the 75mm gun and the improved version with the 76mm gun. To get to the Russian Tank Museum in Kubinka Take the train from Moscow's Belorusskaya Railway Station, in the north west of the city, to Kubinka. It is about an hours train journey. It is a direct service, no need to change, and the the tickets are cheap. Make sure you print off a list of station names so you can check off where you are and get ready to get off the train at Kubinka. The station names are not always easy to read or see. 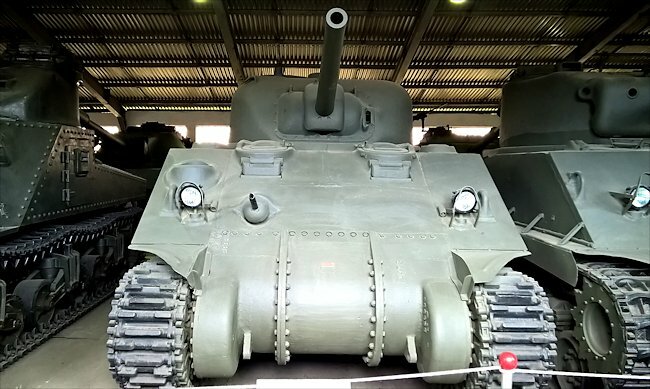 The M4A4 Sherman Tank was armed with a standard 75mm gun that could fire high explosive HE artillery rounds as well as armour piercing AP shells. It could penetrate the frontal armour of a Panzer IV tank but not the front armour on the Panther or Tiger tank. To do any damage to their side or rear armour they had to get close. 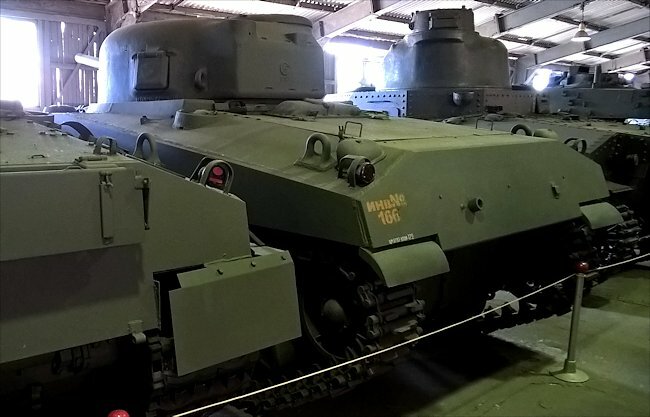 The tank was also armed with two 30-60 Browning M1919A machine guns. One was next to the main gun in the turret whilst the other was in a ball mount in the hull. According to Soviet documents a total of 3,664 M4A2 Sherman tanks were accepted into service by the Soviet Union between 1942 and 1945. 1,990 of the 75mm M4A2 and 2,073 of M4A2(76)W. Besides the two M4A4, sent for testing purposes, there were also 183 of M4A2(76)W HVSS. They were sent in May-June 1945 and did not participate in the war in Europe. German records concluded that the Soviets tried re-arming some of 75mm version with the F-34 gun, these becoming known as the M4M. This conversion does not appear to have been very widespread because there were ample supplies of US 75mm ammunition, but the Germans captured at least a small number of this version. 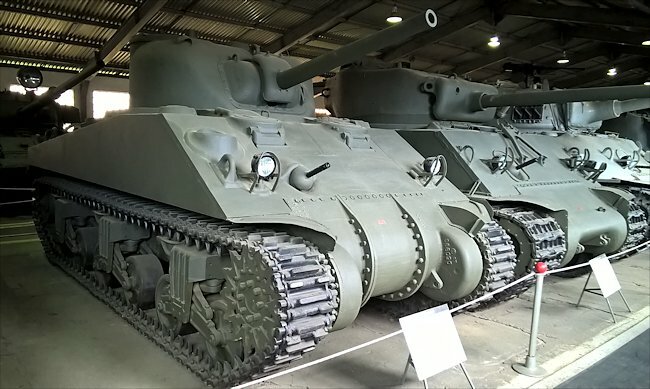 There is no mentioning in reliable Russian language sources of re-arming Sherman with F-34 gun. Doing something like that would seem to be too much effort for too little result. The Sherman was widely used during the last year of the war, some tank and mechanized corps were equipped entirely with this type of tank. The tank destroyer version of the Sherman tank called the M10, was supplied in small numbers. The majority of Sherman tanks sent to Russian were of the M4A2 version with a diesel engine. This M4A4 tank was sent to Russia for evaluation but probably did not find favour with the Soviet Generals because it was equipped with a petrol not diesel engine.